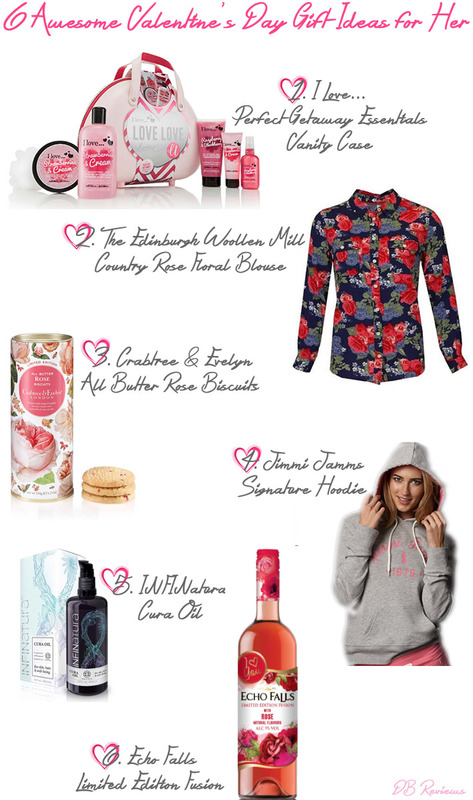 Are you looking for Valentine's Day gift ideas? I have here some gift ideas that are sure to please the lady in your life. These gifts don't cost a fortune but will surely make the recipient feel special. I Love... are a bath, body and beauty brand that make deliciously scented products. This special vanity case is packed with a whole lot of I Love... goodies. The pack includes 500ml Bath & Shower cream, 200ml Shower Smoothie, 100ml Body Spritzer, 200ml Body Butter, Super Soft 75ml Hand Lotion and a lovely white puff. The products are all beautifully fragranced and will leave the wearer smelling delicious all day long. I have tried individual products from I Love... and can assure you that the body butters and lotions will leave the skin nourished and smooth. And the fragrance is a winner. This is definitely a beautiful gift to give someone special. Roses have always been associated with Valentine's Day and here is your chance to shower a loved one with roses this Valentine's Day. This beautiful rose print blouse is from the Country Rose collection and is available to buy at The Edinburgh Woollen Mill. Floral prints are very feminine and never go out of trend. This 100% viscose blouse looks smart and stylish and is great teamed with jeans or chinos. The fit is excellent and I love the colours. Perfect for a chic day or evening look. If you are looking for a delicious alternative to chocolates, then these limited edition rose biscuits from Crabtree & Evelyn are the perfect choice. Buttery with a subtle rose flavour these biscuits are absolutely delicious. Scattered crystallised rose petals add a romantic touch. The biscuits are packaged in a lovely rose-themed tin making this an apt gift for Valentine's Day. Whether you plan to spend Valentine's Day curled up in bed watching lovey-dovey classics or are planning a romantic night sipping wine, this beautiful signature hoodie from Jimmi Jamms is sure to keep your lady comfortable and warm. Made with super soft fabric, pink detailing and a drawstring hood, the hoodie has an easy fit and is extremely comfortable. It is lightweight and keeps you snug without becoming too hot. I love it. I have the hoodie in pink but it is also available in three other pastel shades - light blue, yellow and green. An absolute beauty favourite of mine (in a very short period of time) is the INFINatura Cura Oil. This is a multi-purpose oil that can be used on hair, skin and nails. It contains a blend of eight 100% natural oils - Argan, Bergamot, Camellia, Red Mandarin, Sunflower, Geranuium, Crambe Abyssinica and Vitamin E to help nourish and hydrate the skin. With a soothing and relaxing effect, the oil also doubles up as a massage oil. It's the perfect pampering gift for someone you love! An exciting limited edition from Echo Falls, this rose infused wine is a sweet-treat. Blended with the natural flavour of roses this bottle of wine will make a lovely gift for someone special. The packaging is as lovely as the content of the bottle. It features beautiful roses and a cute little stamp which says the three magical words - I love you! I loved the addition of the back label which has the beginning of the classic 'Roses are Red' poem with enough space for you to complete it with your own message to your loved one. Another perfect gift for Valentine's Day. Available in Morrison’s and ASDA.